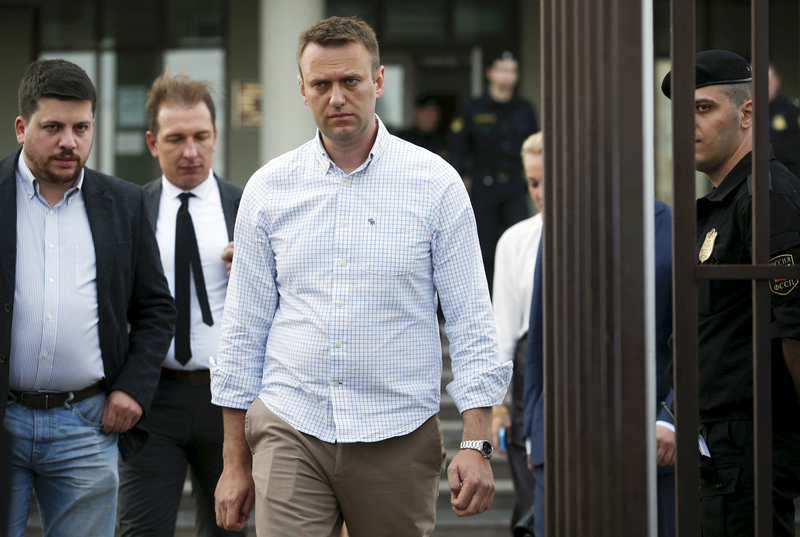 Russian opposition figure Alexei Navalny leaves a court after a hearing in Moscow, May 13, 2015. The European Court of Human Rights (ECHR) has satisfied a complaint lodged by Russian opposition activist Alexei Navalny about violations of his rights and ordered Russia to pay him 63,000 euros in compensation, the judgment said on Feb. 2. The case originated in five applications against Russia lodged with the court by Navalny who complained about the circumstances of his detention between 2012 and 2014. The court said there was a violation of the applicant’s right to liberty and security, right to a fair trial and freedom of assembly and association under the European Convention on Human Rights.